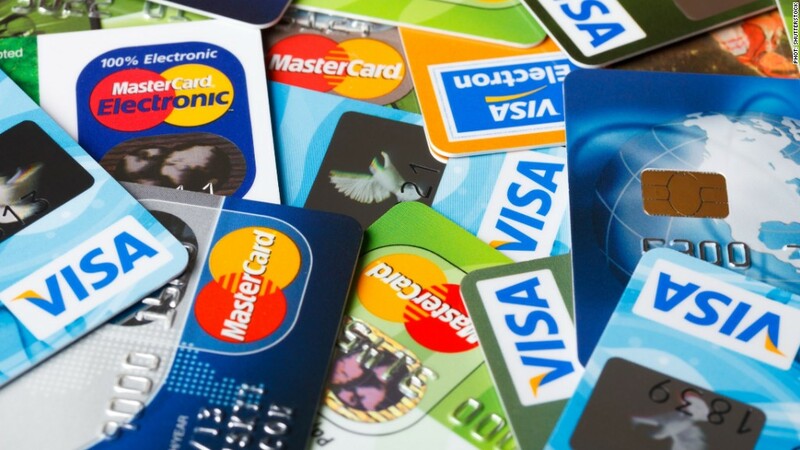 The demise of the credit card is greatly exaggerated. Yes, companies like Square (SQ) and PayPal (PYPL), which owns Venmo, are red hot -- especially with millennials. But the stocks of American Express, Visa and MasterCard have all hit record highs in the past week. AmEx (AXP) stock is up more than 10% this year. Visa (V) is up about 30%, making it one of the top stocks in the Dow. Only Microsoft (MSFT) and Nike (NKE) have performed better. And MasterCard (MA) has soared 45% in 2018. Visa and MasterCard each rallied Tuesday after the two settled a longstanding class action lawsuit with retailers over swipe fees for $6.2 billion. It's easy to dismiss these credit card companies as financial endangered species, at risk of extinction as people use credit and debit cards, not to mention cash, less often. Yet all three are benefiting from their own digital efforts. Visa is one of the top holders in Square, for example, with a more than 1% stake. Visa also recently announced an investment in Japanese fintech startup Paidy. MasterCard has made investments and acquisitions in tech, too. It bought Oltio, a South African mobile payments firm, last month. It has a new debit card that allows Venmo users to purchase things with their Venmo money at stores where MasterCard is accepted. MasterCard also just invested in Divido, a company that lets people pay for things in installments while the seller instantly gets paid in full. American Express announced an investment in Divido as well. And AmEx, along with Visa, has invested in the payments processing startup Stripe, a Silicon Valley unicorn that's worth more than $9 billion. These three companies realize they all have to adapt to the rapidly changing digital landscape if they want to stay relevant. But they also still see a big growth opportunity for their traditional credit card business in some markets where cash remains king. That includes Europe. In Spain, Italy and Poland, people still use cash for about 60% of their spending, Visa CEO Al Kelly told analysts last month during the company's earnings conference call. It doesn't hurt that American consumers are still spending robustly thanks to a solid economy. MasterCard CEO Ajay Banga cited strong retail sales in the United States in the company's earnings conference call last month. Banga said low unemployment and healthy consumer confidence bode well for the company. And even though people are using credit cards more, they aren't getting into major financial trouble by taking on more debt. Credit reporting agency TransUnion said in May that delinquency rates are still relatively low. Only about 1.8% of loans are 90 days past due, and that rate has been stable for the past few years. Analysts are also bullish on the credit card giants. Wall Street is forecasting a 20% jump in sales for MasterCard this year. Analysts expect a 20% surge in revenue for AmEx as well and about a 12% increase in sales for Visa. A mashup of the their most famous ad slogans from the past best sums up how investors feel. As companies, AmEx, Visa and MasterCard are everywhere you want to be. As stocks, they may be priceless. Don't leave home without them.